A quiet day. 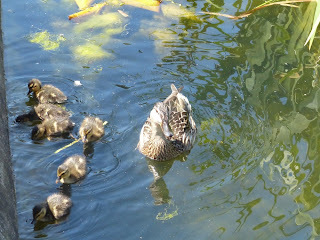 There is a new family of six Mallard ducklings on one of the ponds in the Italian Garden. 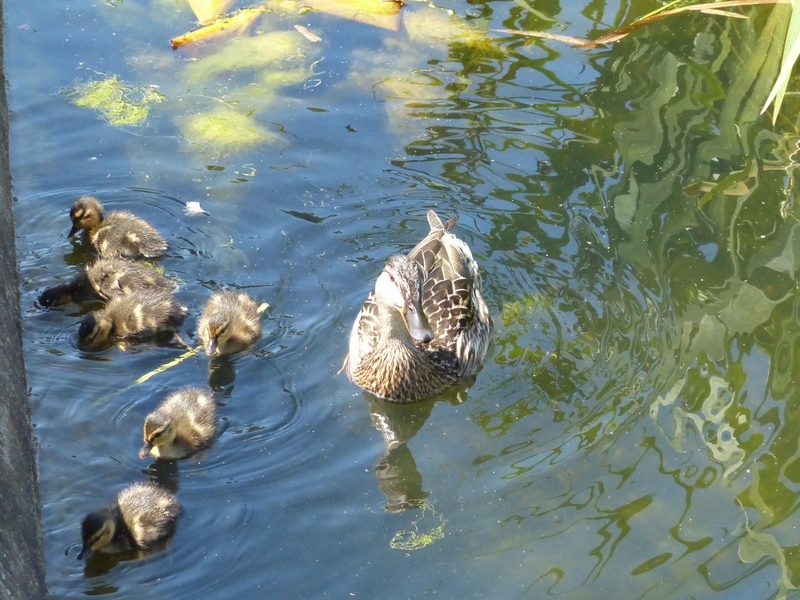 The number of Mallard ducklings on the lake is staying in the high teens, with new recruits replacing the losses. If the big gulls stay away for a bit longer, it should be quite a good year for them after some miserable ones when virtually none have pulled through. However, Mallards are the only kind of duck that has managed to breed this year. The Common Terns that were on the Long Water for such a long time seem to have left for good. There was a report yesterday that one had been seen on the Regent's Canal in Islington. There are very few Common Terns in central London (though plenty in the outer suburbs), and it seems likely that this was the male of the pair looking for fish to satisfy the eternal hunger of his mate. The Common Terns come into Kensington Gardens from the Grand Union Canal via Paddington Basin, so they clearly know their way around the London canal network. The young Egyptian blonde is turning out to be even blonder than the two pale adults already on the lake, and is now deploying a fine straight pair of wings -- I haven't seen her flying yet, but I think she can now. 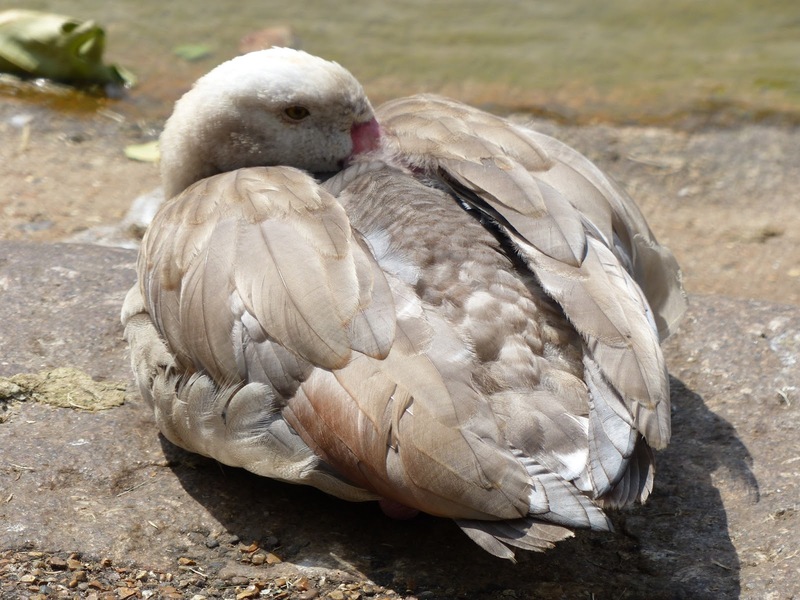 Here she is resting on the edge of the Serpentine, a symphony of cream and beige. There seem to be more Tufted Ducks on the lake than the very low total in recent weeks. Possibly they went elsewhere to breed, failed, and have come home again. There are also five Red-Crested Pochards, all on the Long Water. 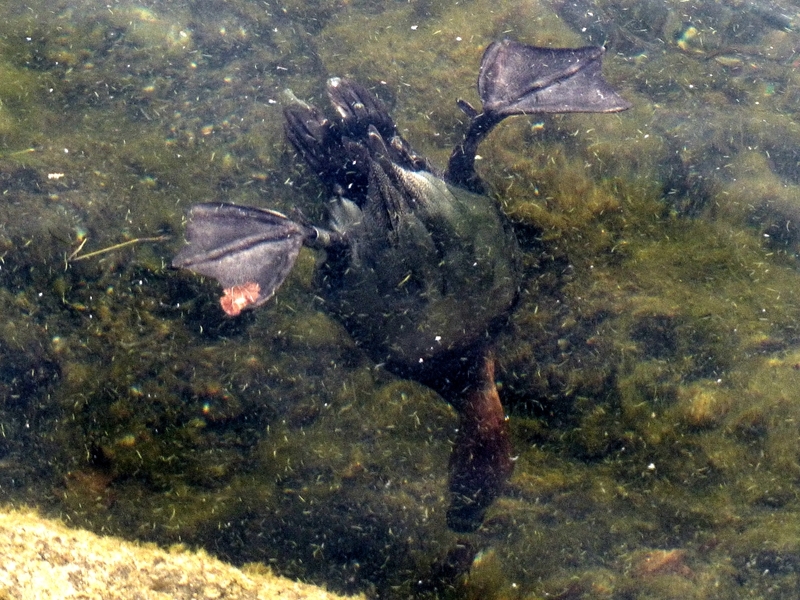 And there are a few Common Pochards: here one of them dives to rummage around in the algae for small edible creatures. Pochards are omnivorous. The patch of native wildflowers behind the Lido is coming on well. These flowers are far more attractive to bees than the sterile overbred annuals in the ordinary flowerbeds. 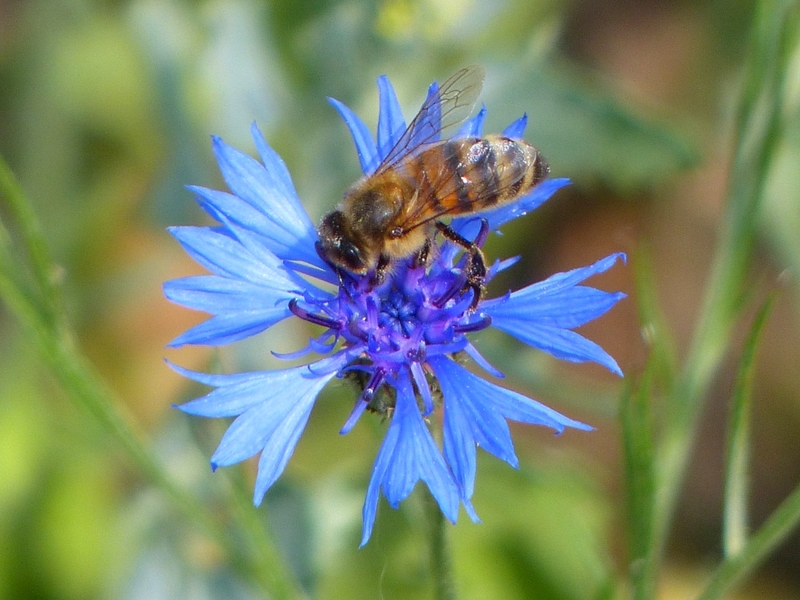 Here is one collecting pollen from a cornflower.